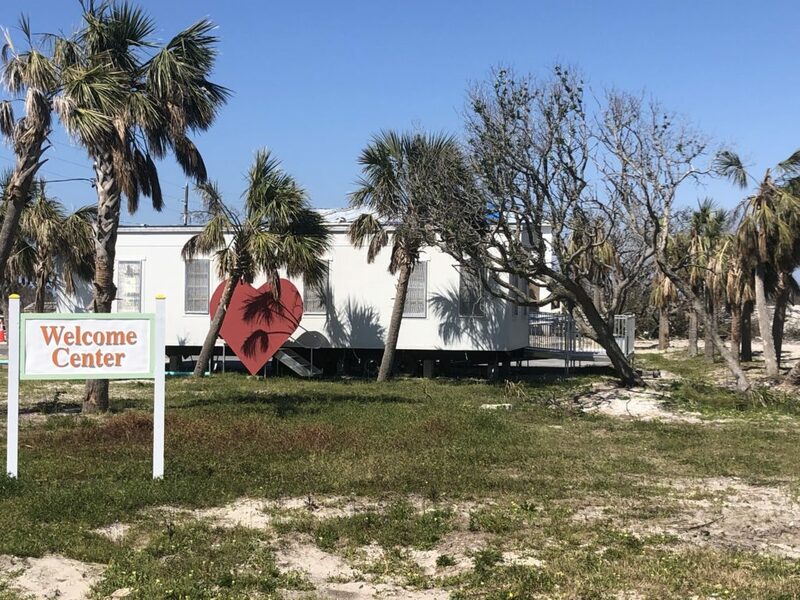 Mexico Beach, Florida, has pushed through and moved forward since Hurricane Michael made landfall on our beloved Unforgettable Coast on October 10, 2018. Since then, many residents and business owners have begun to pick up the pieces and repair their homes and businesses. The Mexico Beach Welcome Center is one of them. While the actual building received damage and had to be demolished, the heart and spirit of the Community Development Council’s mission continues. The Welcome Center has reopened in a temporary location in the parking lot area of the former building just off Highway 98. It is open and greeting visitors, assisting residents, and ready to answer any questions you might have!